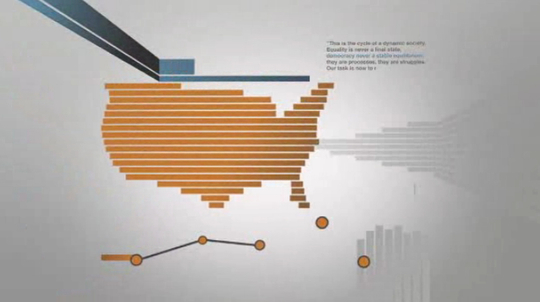 MSNBC’s newest primetime show debuted Monday using a familiar home. 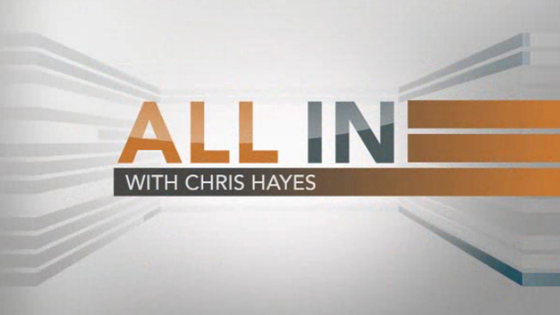 Broadcasting from Studio 3K at the GE Building, “All In with Chris Hayes” is a scaled down and focused version of Hayes’ morning show. 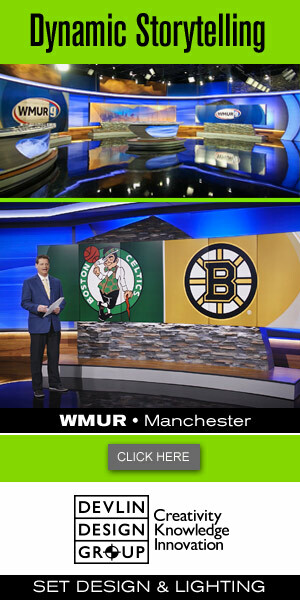 Studio 3K has been updated for the show, making it a 360 degree studio, with the addition of a new monitor wall. 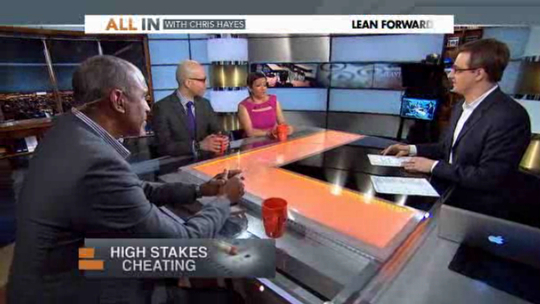 This desk has seen many uses on MSNBC, and works well for multi-person panel shows. “Melissa Harris-Perry” used the same desk on Saturday, so we’ll see if MSNBC drags in back and forth between the two studios. 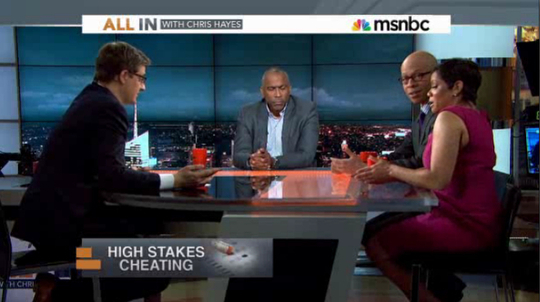 The show tries to feel different from other MSNBC primetime shows: Hayes stands for many story intros, doesn’t wear a tie and a jib camera is used for the panel discussions to add movement and energy. 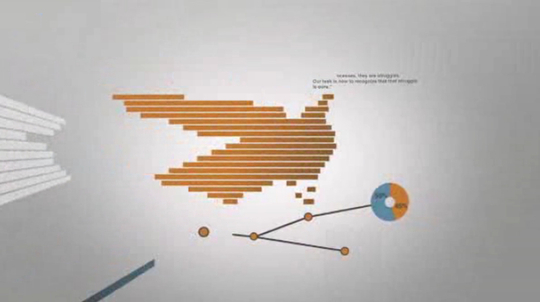 The shows graphics use flowing bars of information which form the United States and visual data in the opening sequence. 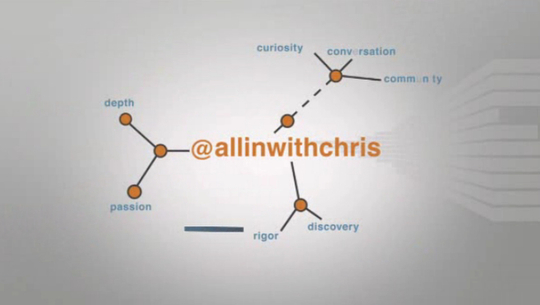 Hashtags, Twitter and topics are also woven through the shows graphics. The colors are interesting, usine a darker blue/green with a burnt orange. 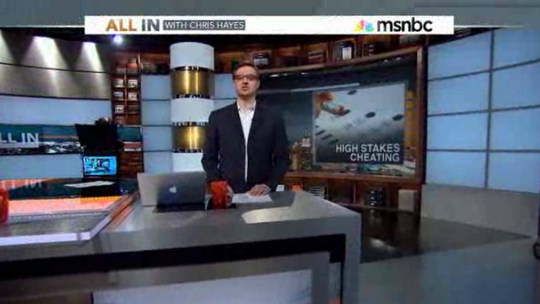 They stand out from the other MSNBC shows, but lack a punch, seeming a bit too muted. We’ll see how the show evolves on MSNBC, as it’s still new with a brand that was quickly developed with Ed’s departure.